Soft and pliable Medium Concentration mask that moulds easily to the patient’s face, with a feathered-edge rim for excellent fit and seal to provide maximum comfort and efficacy. Knitted latex free strap maintains its width when stretched and reduces pressure on patients’ skin, helping protect from pressure sores. 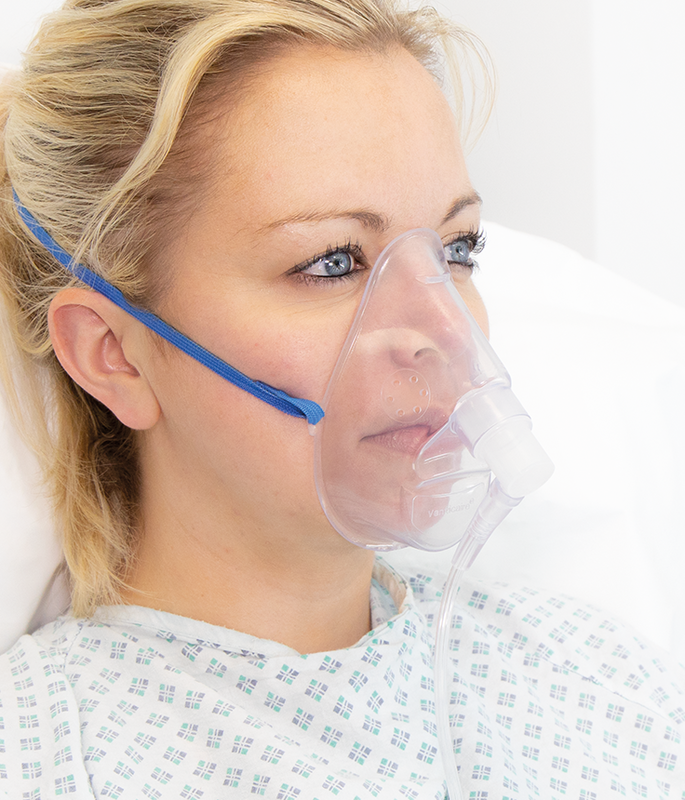 Clear and colourless mask for quick and easy assessment of potential cyanosis. 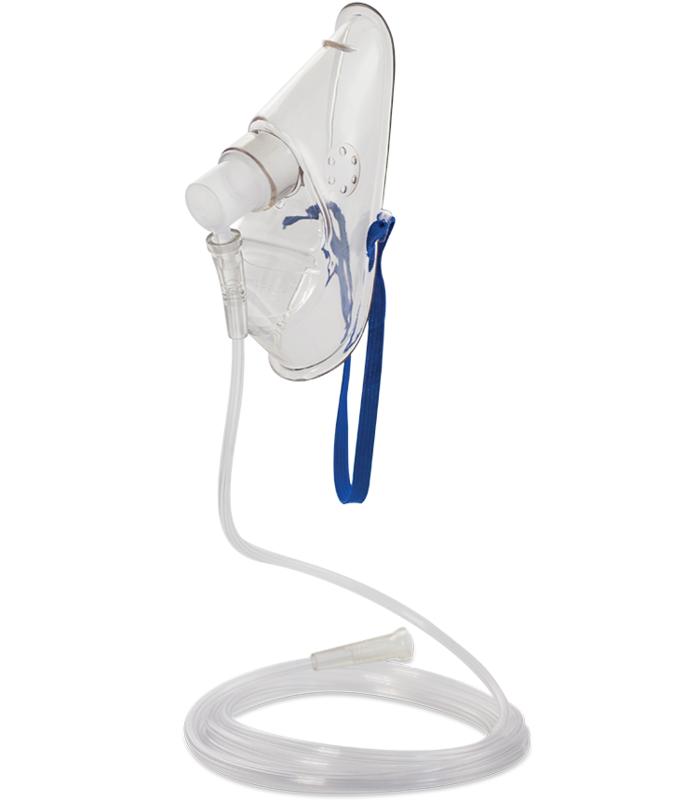 Reinforced nose bridge holds the mask shape without the need for a metal nose clip, preventing accidental injury and making the mask fully MRI compatible. Adult masks are available with the option of a metal nose clip. The connector can be rotated to the most convenient and comfortable position, accommodating for patient movement and oxygen supply from either side. 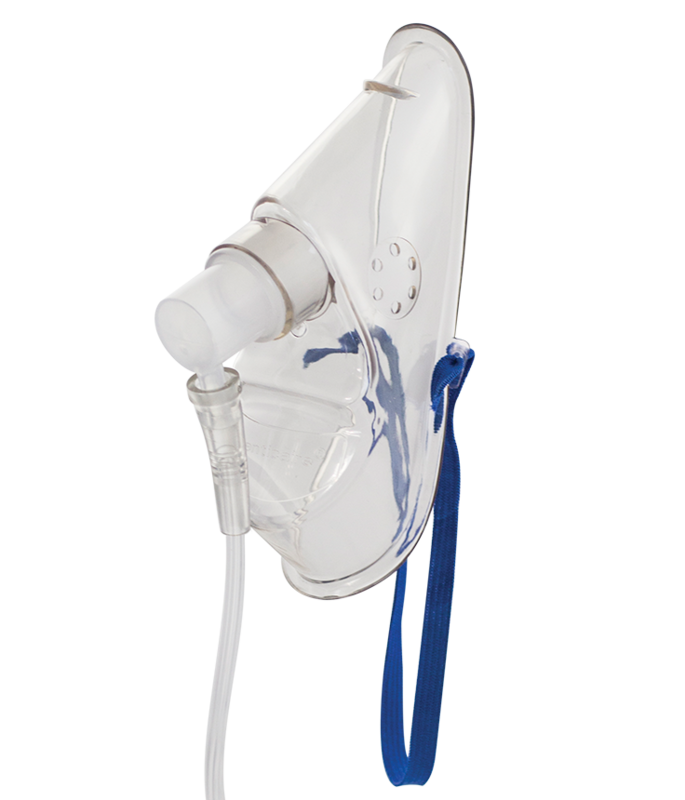 The Adult mask has the option of earloops, ideal for patients with restricted head movement or find the strap behind the head uncomfortable. Quick, easy and secure connection to oxygen tubing.